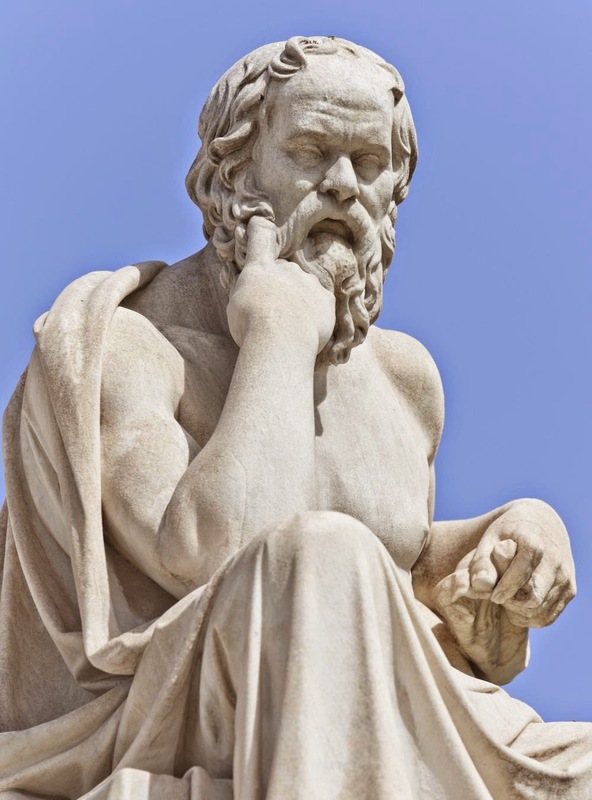 Socrates - What is the good life? How can I be good person? These were the questions that Socrates asked in Plato's dialogues, 300 years before Christ. Being good mattered to him. He wanted to know what being good looked like and how to become that kind of person. His own conclusion was that the good life was to live virtuously -- that is, according to the ancient virtues of prudence [wisdom in action], justice, temperance [i.e. self-control] and courage. Not bad, I'd say. The world would no doubt be a much better place if we all lived by such standards. These kind of lists actually abound in the New Testament. I think too of the 'Beatitudes' of Matt. 5:1-12, or the 'wisdom that comes from heaven,' at the end of James chapter 3, and of course the fruit of the Spirit in Galatians 5. It's true, there's no shortage of opinions--even inspired opinions--about what constitutes the good and virtuous life. Nor are such notions confined to Christianity. Prophets of the various world religions have espoused their own vision of the good life -- Moses, Mohammed, Buddha, Lao Tzu and Confucius all amassed followers in great part because they offered compelling visions of virtue ... the possibility that I could be 'good.' People want that. Did you know the purpose of the law is to protect the rights of the individual? Therefore, I think it is important for churches to establish at least unwritten laws concerning the way it treats its individuals. In any relationship, those involved need to constantly check to ensure that they are treating the other fairly, compassionately, and justly. This includes churches. 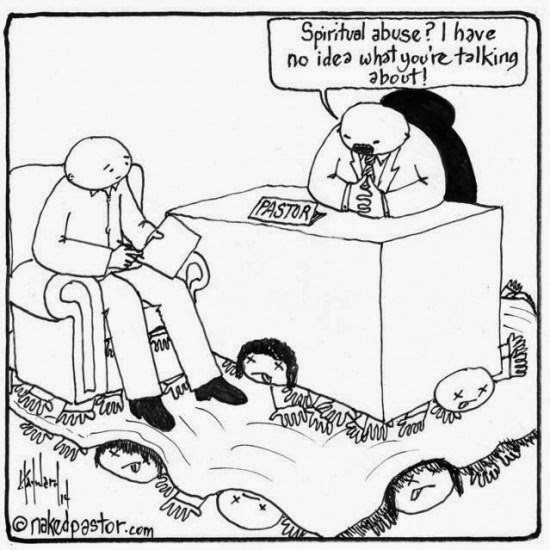 I’ve come to believe that all churches are prone to spiritual abuse. In fact, I claim that the abuse of people is the gravitational pull of all institutions and organizations. So we must be diligent to ensure that they don’t go there. I’ve assembled 10 questions the church to ask itself to see that it isn’t abusing its people: You can READ THEM HERE. ﻿Over 490 years ago, on the day now known as Halloween—October 31, 1517—a young Roman Catholic priest named Martin Luther posted 95 theses, or statements, on the door of Castle Church in Wittenberg, Germany. These 95 issues were a summary of what this young, courageous priest saw as problematic teachings and practices in his church. Martin Luther had come to believe that the god of his church was not the God of the Bible. 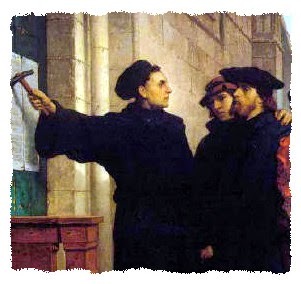 The posting of those 95 theses were the result of a long, spiritual struggle in which Luther had been engaged. Luther seems to have become convinced that God was being misrepresented as an angry, wrathful god. Luther began to believe that the church was more interested in using fear to control people than it was helping them embrace freedom in Christ. Most of all, however, Luther wrestled with the idea that God is holy, and that no matter how hard Luther tried, he was a poor, miserable sinner. Martin Luther could not see how a holy, perfect and righteous God would ever forgive and love a sinner like himself. Luther had done everything the church told him to do, he had performed all the rituals, said all the prayers, done the penance, but at the end of it all, he knew that he did not have the ability to produce the kind of life that would please God. How much choice does any individual human actually have? We speak of "free will"—but how much of a choice to accept God's grace does anyone have, given the brainwashing and propaganda to which they are subjected? How much of a choice to accept God's grace does a young boy in a radicalized Muslim school have? How much of a choice to accept God's grace does someone have who is ensnared by some ultra fundamentalist church, where performance-based religion rules? Being in Christ is a divine invitation to an eternal relationship, open to everyone. But being in Christ is not an automatic, divinely bestowed or imposed gift. Being in Christ is not a spiritual address or a relationship he forces on us. God is not coercive—he does not bully us into accepting his love. We may decline the relationship he offers. We have a choice. But how much of a choice do we really have? Are we all on a level playing field, or when it comes to responding favorably to God's invitation do the odds favor some of us more than others? 1) I believe God provides an open invitation to all mankind—and that in some way, somehow, God will, in his perfect wisdom and love, eventually draw people to himself. Because of the cross of Christ, all are eventually invited to accept God's love. However, all are not, at any moment in time, equally drawn by God's grace to relationship in Christ. Therefore, all humans have free will, but at any given point in time, some are more free than others because God has drawn them, by his grace. 2) God's grace draws us to Christ (see John 6:44 and 6:65). Drawn indicates some divine illumination, some impartation of light and understanding that was not there before. 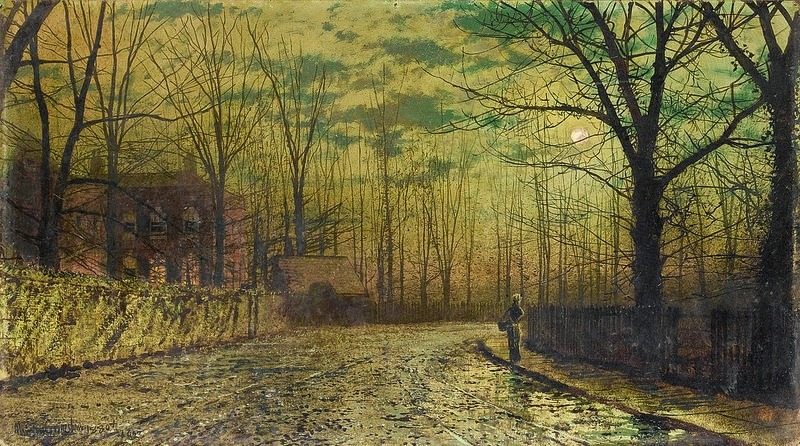 By virtue of our humanity, we have a spiritual genetic predisposition, we are "hard-wired" or at least incredibly attracted to religion rather than grace, like iron filings to a magnet. In order for us to unplug from wrong-headed notions, including the attraction that bad-news religion presents to us, and plug into God's grace, God has to help prod us and "draw us." In this regard, perhaps God's grace is somewhat like a magnetic field. When God "draws" us he graciously overcomes the spiritual inertia that holds us captive. So in drawing us I believe God, who is love, acts as the divine Lover. He pursues us and beckons to us (this in contrast with the religious idea that he is threatening to burn the hell out of us for all eternity, torturing us if we don't comply with his wishes). You’re a woman who’s sick and tired of being discriminated against, not only in the workforce but at church as well? Yes, you say? Well, who’s to blame for that abuse? Several months ago now I was asked to be one of the speakers at a conference on domestic violence. I had just published a book on how women were discriminated against in an authoritative, legalistic, religious organization. About the same time, in my research on discrimination against women, I came across an article by an atheist who blamed all three Abrahamic religions You’re a woman who’s sick and tired of being discriminated against, not only in the workforce but at church as well? Yes, you say? Well, who’s to blame for that abuse? Several months ago now I was asked to be one of the speakers at a conference on domestic violence. I had just published a book on how women were discriminated against in an authoritative, legalistic, religious organization. About the same time, in my research on discrimination against women, I came across an article by an atheist who blamed all three Abrahamic religions Judaism, Christianity and Islam, for the centuries of discrimination against women. 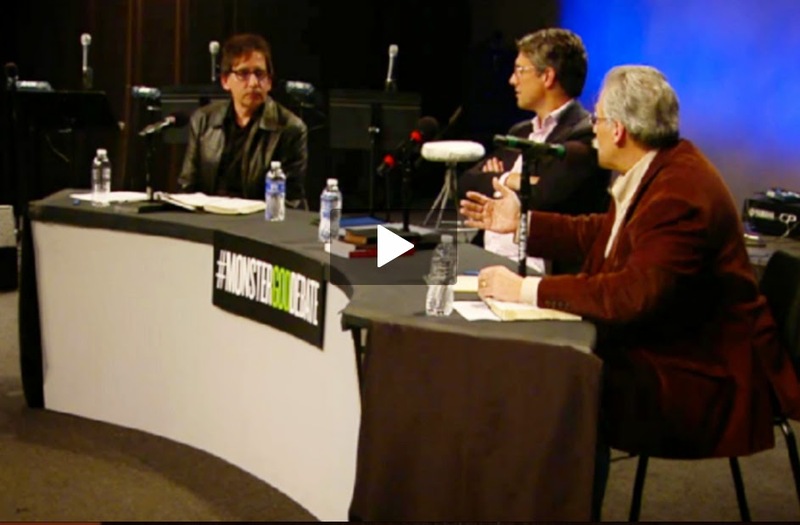 He quoted the Hebrew Scriptures, the New Testament and the Quran to prove his point. The 19th-century women’s rights activist, Elizabeth Cady Stanton (1815-1902), said of the Bible, especially the first five books of the Old Testament: “I know of no other books that so fully teach the subjection and degradation of women.” (Eighty Years and More, 1898, p. 395). Are they right? As the events in the Hebrew Scriptures are acknowledged in some form in all three religions, let’s take a look. Genesis, chapters 1 to 3, describes Eve as being made from Adam’s rib to be his helper. Eve took the first bite of the forbidden fruit and encouraged Adam to do the same. God then put Eve under the rule of her husband. God is referred to as father, not mother. Women could not divorce their husbands, but men could divorce their wives. 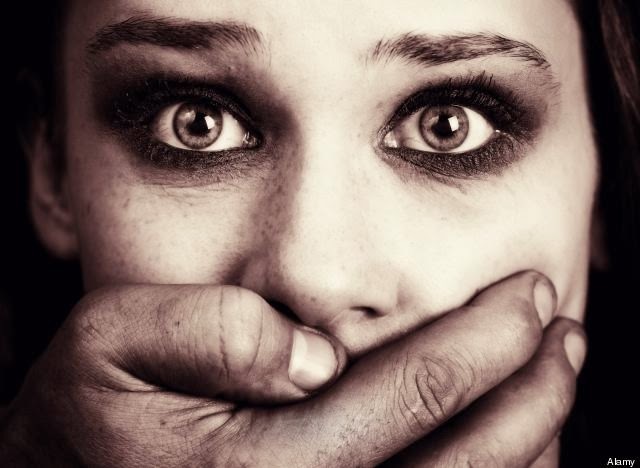 If a woman was raped or committed adultery, it was a crime against men’s rights of ownership. Women were considered unclean because they menstruated. It doesn’t look good for the Hebrew Scriptures. Let’s look at the New Testament. Jesus was male. He also referred to God as father. He chose no females to be among his twelve disciples. Editor's Note: Derek Vreeland serves at Word of Life Church in St. Joseph, Missouri and is the author of Primal Creedo. 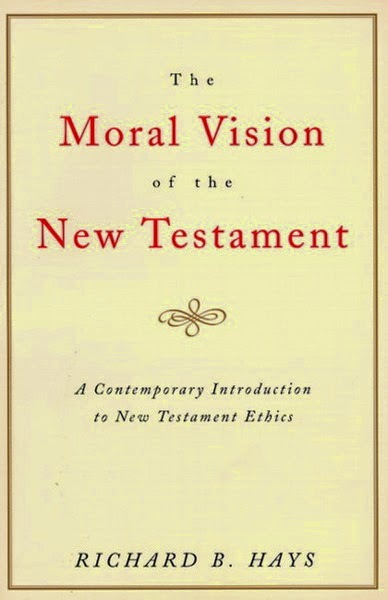 Herein, Derek responds to Trevin Wax's critique of Richard Hays' book, The Moral Vision of the New Testament. Wax's critique can be viewed HERE. Three responses to your three-point critique of Hays’ view on violence. First, the application of Romans 13 into our modern American context is indeed complex. I agree with Hays that the church (since Constantine) has struggled with the sin of nationalism. American Christians (in general) have to acknowledge the idolatry of nationalism, repent of it, and begin to form an identity in Christ separate from our national identity. Once we define ourselves by Christ first and foremost, then we subordinate our love for the nation below our love for Christ. Some will see this as hate, but it is just a subordinate kind of love (see Matthew 14:26). Only within this critical distance of identity can we clearly apply 1 Corinthians 13. Yes God has given the sword to the State, but how would Jesus speak to the US Government, the pentagon, or the industrial military complex (the masters of war)? Would he not preach to them enemy love? Should the ruling authorities who are represented by the citizens they govern defeat the weak and innocent by thwarting evil-doers? Yes, of course. The question is how? How would Jesus instruct them? Would he instruct them in the ways of war or would he instruct them in ways of making peace using the utmost consideration for the loss of life including the life of the enemy? It seems to me he would instruct them in the latter or perhaps he would instruct them in some other way? Second, where do we see the “righteous anger” of Jesus resulting in violent killing? Over the past year or so, Facebook has become a place of wide-ranging theological discussion for me. Of course, as a medium for serious, in-depth discussion, it has its disadvantages and limitations; but thanks to others of like mind, I’ve found it to be predominantly a source of life and stimulation. Being active in theological debate on Facebook has taught me a lot, especially about things like taking time to think before speaking, giving others the benefit of the doubt and working hard to communicate clearly and unambiguously. It’s also brought to my attention certain recurring arguments that many Christians regularly trot out in defence of whatever position they’re pushing, one of which I’d like to briefly highlight today. And hopefully demolish. If I had a pound for every time in the last year that I’ve heard or seen someone say “But the Bible clearly says…”, I’d be well on the way to funding a more generous pension for my later years. I have a number of issues with arguments beginning “The Bible clearly says…”. Franzie-reading-BibleFirst, it is not borne out by two thousand years of history. If the Bible clearly said anything much at all, surely the world would not now have something like forty thousand Christian denominations, many of which claim to have the correct interpretation of scripture. ﻿﻿John 10:1-6 uses the image of a shepherd and his sheep to describe our relationship with God. If you are a student of the Bible, then you are familiar with this image. Our first reaction to this word picture is to think of the care and concern that the shepherd has for his sheep as being an illustration of the comfort and assurance God provides for us. We may also think of that well-known passage in Psalm 23. Beyond that, in the Gospel of John we read that Jesus, the Shepherd of our souls, cares for us to the extent of laying down his life for us. But, there is another note sounded in our passage today, added to the care and concern that the Lord has for us. Our passage talks about our Master's voice and how we, as his sheep, know that voice and respond to it. Peter Enns, The Bible Tells Me So: Why Defending Scripture Has Made Us Unable to Read It (HarperOne, 2014). As a student of theology and the scriptures, I read hundreds of books on the topics of biblical studies and hermeneutics. 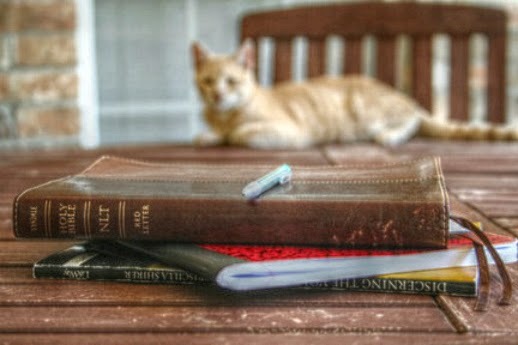 Few authors catch our attention when writing varying thoughts on reading the bible. For my own tastes, too many are often too “literal” in their approach and ignore a broader meaning to be found by reading things a little more openly. 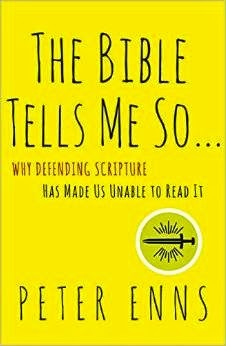 What Peter Enns has managed to do in his new book “The Bible Tells Me So: Why Defending Scripture has Made us Unable to Read It” is nothing short of a miracle. Enns held my attention from page 1 with humor, history, and heart. Where many fall flat by simply making derogatory remarks about the scripture, Enns manages to keep the scripture in high regard as well as read it openly—no small feat. This book needs to be on the shelf of every serious student of the bible, referenced often, and re-read as frequently as possible. From cover to cover this book holds the attention of the reader. It made me laugh out loud on several points, take a second look at texts I thought I knew well, and reinvigorated my passion for studying the texts of the bible. I don’t often recommend that everyone “rush out an buy this book” but I can say with full assurance, you will not be disappointed if you do. My next book is coming out at the end of August and the title is The Bible Tells Me So: Why Defending Scripture Has Made Us Unable to Read It. I lobbied for Pete Enns Tells Me So: Why Arguing with Pete Enns Is Futile (by Pete Enns), but the legal team at HarperOne would have none of that (using words like “sales figures,” “stupid,” and “get help” in their email). The book is just over 65,000 words long, and I am proud of each and every one of them. All that remains for me now is to arrange them in the right order and make sentences out of them (at which time I will give an exerpt or two). Until then, here are some of the words that will appear in the book, some more than once. Many of the letters I receive are like Forrest Gump's box of chocolates—"you never know what you're gonna get." 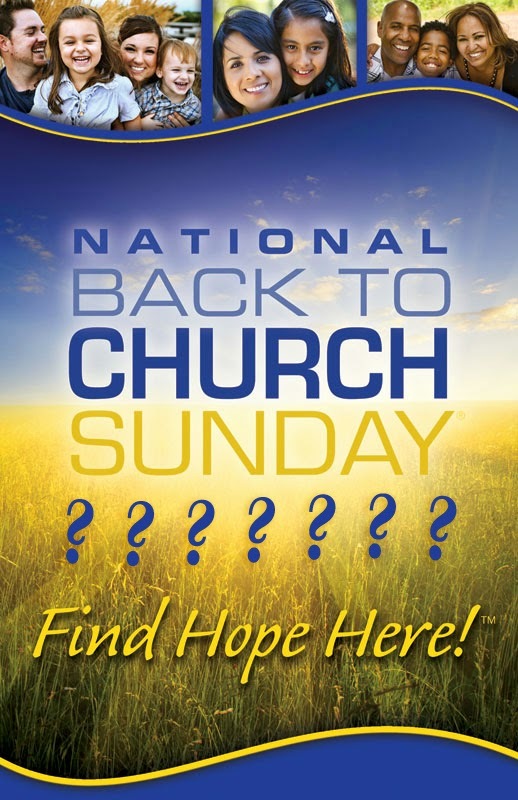 Recently I received a clever promotional message urging PTM and CWR to participate in "Back-to-Church Sunday." The letter explained that Back-to-Church Sunday is a great way to get the "unchurched" and the "de-churched" back to church. The coalition responsible for the letter explained that Back-to-Church Sunday is held annually in early to mid September, taking advantage of the time when students are going "back to school." The message implored me to help this new initiative, because, as the message claimed, people's lives would be forever changed if they just went back to church! Over 3,500 churches and sponsoring organizations are engaging in publicity campaigns to reach the "unchurched." Organizers estimated that over a million print and electronic invitations are sent. Those who are reluctant to invite others to their church personally can use the resources of a website that will send invitations for them—by mail or email. Churches see this as a way to bolster declining attendance—and there is evidence that participating churches can expect increased numbers in the weeks following Back-to-Church Sunday.